Jin Xuan Loose Leaf Oolong Tea is all-natural and authentic Taiwanese tea which is famous for producing the finest teas in the world. Do you want to start making a change to your health in a natural way? Traditional and herbal alternatives are proven to have significantly decreased the risk of chronic diseases. Traditional tea drinking has been a practice of old people and it still works even with younger adults. Searching for the right type of tea to boost your health requires a lot of trial and error. Sometimes taste can be deceiving so you need to come back to the basics of what makes a tea beneficial to your body. With Zone – 365, you are assured that you will get the most out of our best high mountain Oolong tea when it comes to flavor and benefits. The Zone – 365 Jin Xuan Loose Leaf Oolong Tea is all-natural and authentic Taiwanese tea which is famous for producing the finest teas in the world. This is a wonderful treat for every tea drinker and to those who are yet to start their tea journey! This Jin Xuan tea is beyond ordinary Oolong. 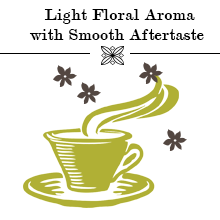 It has light floral aroma with smooth aftertaste compared to regular milky and creamy. The true mark of Taiwan tea, this high mountain tea comes in light roast with greener Oolong leaves with an earthy flavor. 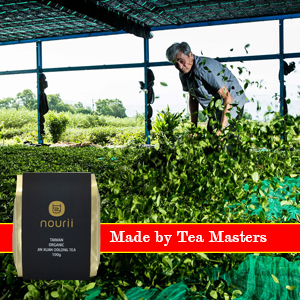 From the soil-rich tea plantations in Yilan, Taiwan, Zone – 365 Jin Xuan Oolong Tea holds the nature’s freshness and taste. 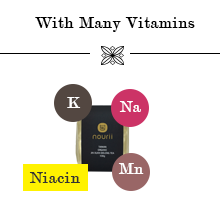 Like most milk Oolong tea, our Taiwanese Oolong tea is filled with nutrients and key vitamins like Potassium, Manganese, Sodium, Niacin and more! 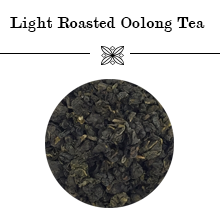 You know that a high mountain Oolong tea is a good tea even before you taste it. 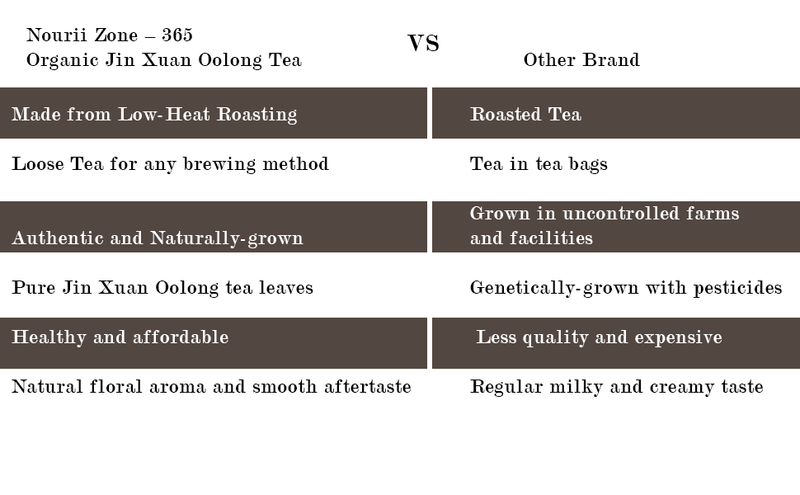 Zone – 365 Jin Xuan Oolong Tea has a bright floral and fresh aroma while steeping. 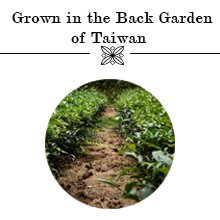 This tea blend is carefully processed by Tea Masters of Taiwan who follows 12 complex steps that take 2 days in the making to create a genuine Jin Xuan Oolong for your tea pleasure. 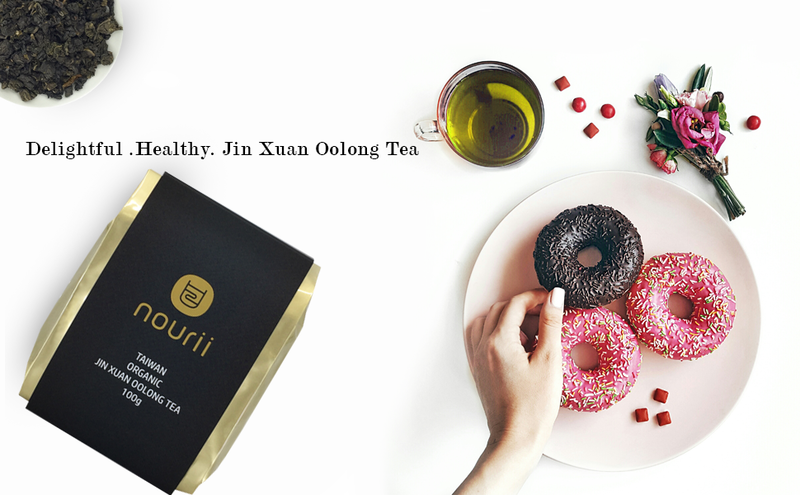 The Zone – 365 Jin Xuan Oolong Tea can easily complement your palate due to its mild taste and captivating aroma. Even the most sophisticated palate will surely love what this tea has to offer. 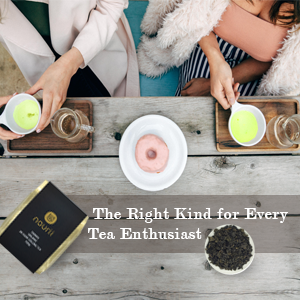 Every tea enthusiast and beginner will definitely settle once this tea tickles their taste buds.